The newest programme of the Bharatiya Vidya Bhavan's SPJIMR, the Post Graduate Management Programme for Women (PGMPW), has won the 'MBA Innovation Award' at the 2019 edition of the Association of MBAs (AMBA) Excellence Awards. The PGMPW is a 11-month course designed in partnership with industry leaders. It is the only programme tailored to the needs of women who seek to return to work after a career break. The programme prepares and positions mid-career women professionals and at the same time helps industry hire top talent and build a more gender diverse workplace. The PGMPW is into its second year at SPJIMR and is regarded as one of the Institute's notable innovations. AMBA said, "The prestigious award is a celebration of innovation and radical thinking in MBA delivery across all areas of the Business School and has been developed to recognise and reward brilliant new practices. It promotes the value of risk-taking in pursuit of the new." SPJIMR's PGMPW Chairperson and Professor of Marketing Dr. Ashita Aggarwal was at the ceremony to receive the award. Dr. Aggarwal later said, "SPJIMR positions itself as an institute that is known for two key attributes - courage and heart. Both of these words are at the heart of the PGMPW, and its unique positioning and purpose. The programme stands testimony to the fact that business decisions can be very courageous and can be taken from the heart. It takes a lot of perseverance for our participants to do a one-year, rigorous, fully-residential programme, leaving their kids and families back home." SPJIMR Dean Dr. Ranjan Banerjee said, "The PGMPW is the beginning of a larger effort to support the cause of bringing talented women back to the workforce. While we are pleased to receive early global recognition, this is a long and difficult journey, and we have only just begun." Andrew Main Wilson, CEO of AMBA, said: "On behalf of the AMBA and Business Graduates Association (BGA) team, I would like to congratulate the Finalists and Winners of this year's AMBA Excellence Awards." "The quality of Award entries was once again very high this year and we are proud to celebrate the achievements and innovation so clearly evident in AMBA's network of Schools and their students," he added. SPJIMR's mission is to 'Influence Practice' and 'Promote Value-based Growth'. The School aspires to be Asia's most innovative and socially-responsive school of management. The finalists list was shortlisted by AMBA's senior management team who reviewed 76 entries. The judges reviewed 27 shortlisted entries. The judging panel was made up of AMBA board members, business experts, Deans, and management leaders. S.P. 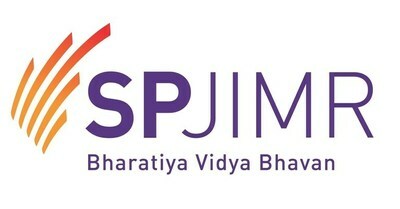 Jain Institute of Management & Research (SPJIMR) (http://www.spjimr.org ) is a constituent of the Bharatiya Vidya Bhavan and is ranked among the top ten business schools in India. As a premier school of management, Bharatiya Vidya Bhavan's SPJIMR is noted for pedagogic innovations and pioneering programmes, which have helped the Institute stand out for its unique and distinctive path in management education. The mission of Bharatiya Vidya Bhavan's SPJIMR is to 'Influence Practice' and 'Promote Value-based Growth'. The Institute currently operates from its 45-acre campus in Andheri, Mumbai, and a campus in New Delhi. To avoid confusing us with any other institution, look for the five strokes logo and the Bharatiya Vidya Bhavan association.